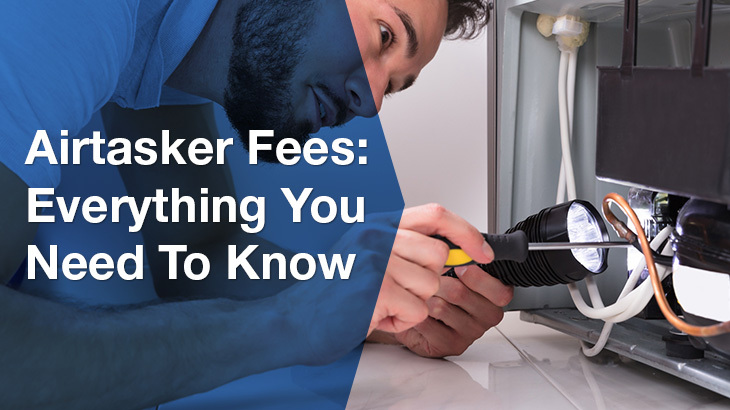 Airtasker charges a service fee of 15% which is deducted from the payment before it is deposited into the worker’s account. The platform does not charge users for posting tasks. How is the price of a task set? When users post a task, they can set a budget that indicates how much they would like to spend. This is only a starting point, as Airtasker Workers can make higher bids on the task depending how much time, skill and work is required. According to their price guides, Airtasker recommends a rate of $25 per hour as a minium starting point. To ask for further details and negotiate on price, users and Airtasker Workers can only communicate through the Airtasker platform, and are not able to exhange contact details until the job is officially accepted. This can make it difficult for larger jobs that require site visits. What is different about ServiceSeeking.com.au’s fee structure? ServiceSeeking.com.au believes in “Fair Go” pricing for our service providers. This means we don’t take any commision from the jobs done between customers and businesses on our platform. Unlike some of our competitors, our service providers also don’t get charged everytime they want to send a quote or receive a new enquiry from customers. We think paying per quote is unfair, and just discourages service providers from sending quotes. Our service is completely free for customers to use, and our businesses pay for monthly or annual membership fees too access the leads on our site. Customers on our platform can take directly to our service providers or exchange contact details, before they’ve even committed to hiring someone. This makes organising further details of the job and site visits more practical. Whether you’re a cleaner, gardener or handymen, ServiceSeeking.com.au is an affordable, fast and reliable way to connect to new leads in your local area. We have over 40,000 Australians posting jobs on our site every month. Find out more about our flexible membership options here. We have more reviews and a higher average rating on Productreview.com.au – compare below.